Option for document & ticket hand out. From the moment your client(s) plane touches down we can provide our services. 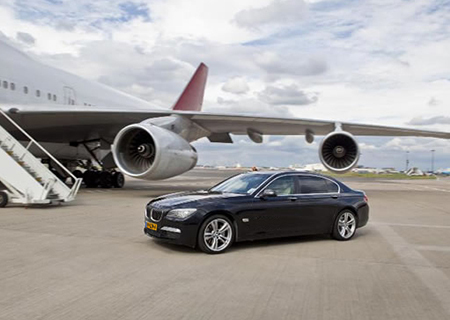 We facilitate serveral airport arrival and pick-up services including hostess service, premium services and VIP services at Amsterdam Airport Schiphol (in collaboration with our partner Schiphol VIP centre). See below a selection of our services. In the Arrival Hall one of our hostesses will welcome your client(s). She will give them information about their stay, programme and can answer additional questions. Next she will guide them to our taxi, limousine or coach. After leaving the plane our hostess will be waiting for your client(s) and guide them directly to our limousine, wich will bring them to the Schiphol VIP centre. While relaxing, everything else (collecting luggage, passport control and other formalities) will be taken care of. Next, our limousine will bring them to the next destination.